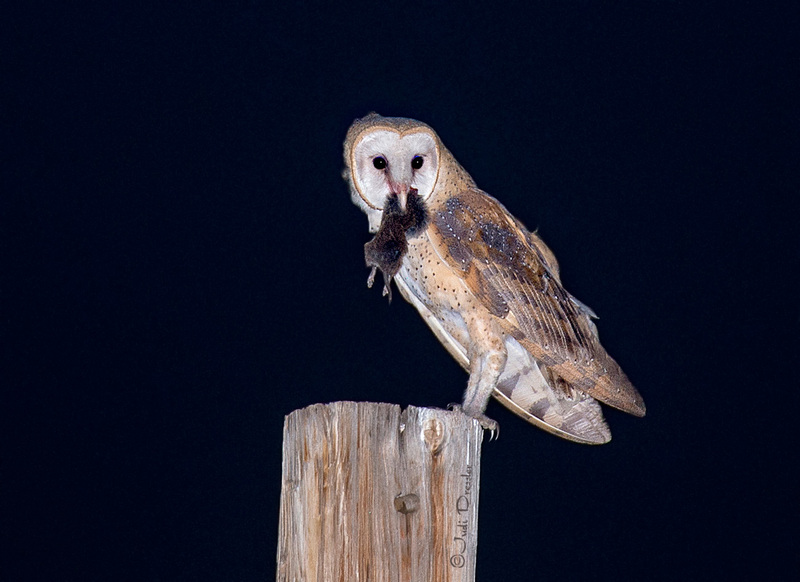 I felt lucky to get this shot of a barn owl with a catch. I had waited and waited for her to appear, and then suddenly, there she was, and I had just taken a couple pics of her, when she disappeared for an instant and then she was back with the vole! Photo taken north of Boulder, Colorado with the use of flash, since it was pitch dark outside.